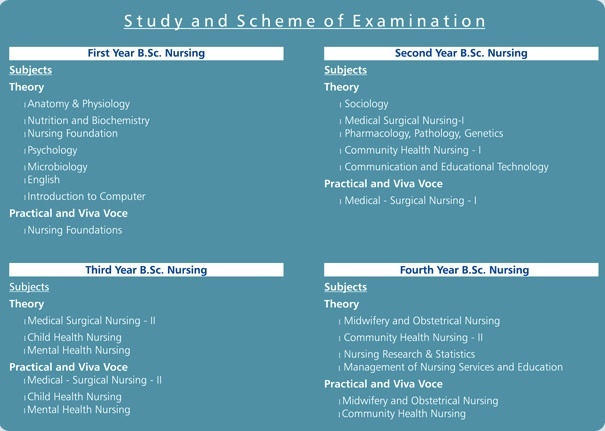 Shree Devi College of Nursing offers a Bachelor’s Degree Programme, B.Sc.Nursing (Basic). The Curriculum extends over a period of 4 academic years. Successful completion of Two-year Pre-University examination from a recognised Board or any equivalent examination with 45 percent marks in the aggregate of Physics, Chemistry, Biology and English (PCBE). In respect of candidates belonging to Scheduled Castes, Scheduled Tribes or other backward classes, the marks obtained in PCBE in the qualifying examination should be atleast 40%. Candidates seeking admission to “Bachelor of Science in Nursing” course should have completed 17 years of age as on 31st December of the year of admission.